Hello my lovlies! To my dedicated followers, I am sorry for my absence. Sometimes life hands us lemons and all we can drink is Vodka - in my case I like a good Moscato! I'm running a bit behind with my Mojo this week and actually had it made on Friday. So this is last Mondays sketch and hopefully I will get to this weeks Mojo a lot earlier! 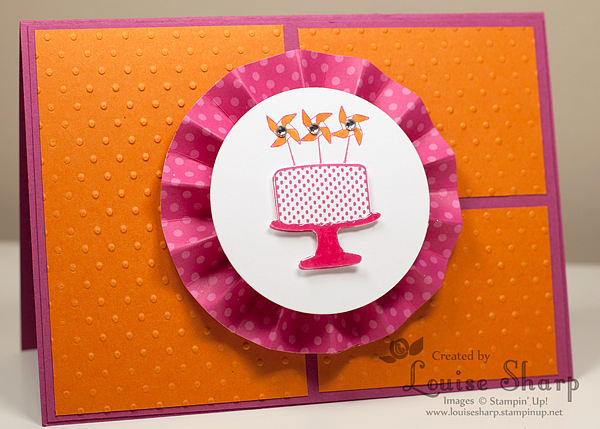 I need to get caught up on some of my 'belated' birthday cards and this one is made for a special little girl who just loves Stampin' Up! and cardmaking. She makes her own video tutorials and one day I'm sure her mum, Marlene Goulder will post one! Happy (Belated) 9th Birthday Natalie - I hope you like your card! The stamp is a little 'teaser' sneak peak from the new catalogue. I'm sure she will love it. I'll show her tomorrow. 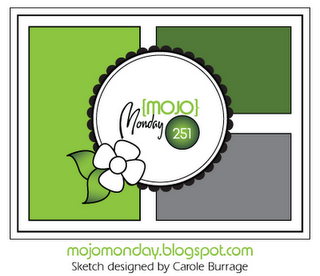 I did this mojo too - I tried to combine it with a Colour challenge but I just couldn't get my head around it. Scored me that appointment yet?